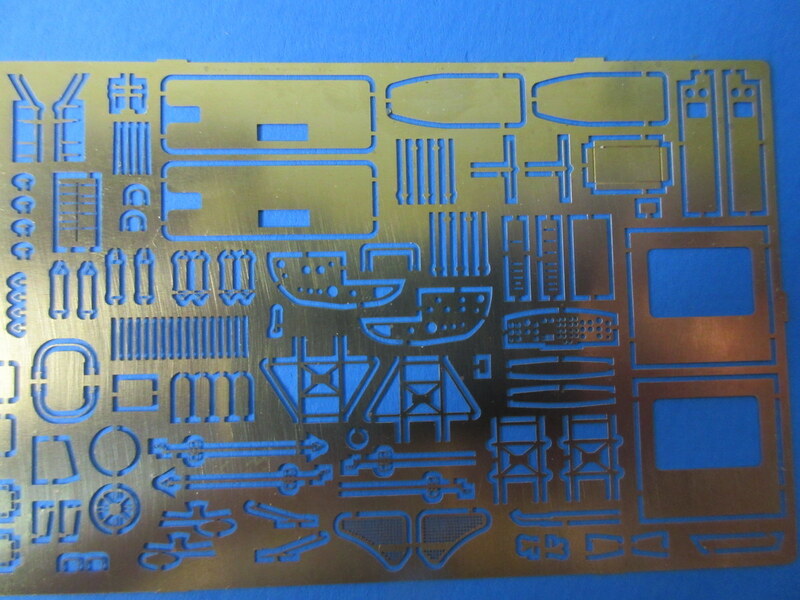 In this world of photo-etch and resin enhancements for model kits, I have not tried to do any scratch building for years. Instead, the strategy has been to hone my painting and highlighting skills to create wonderful renditions of scale interiors. 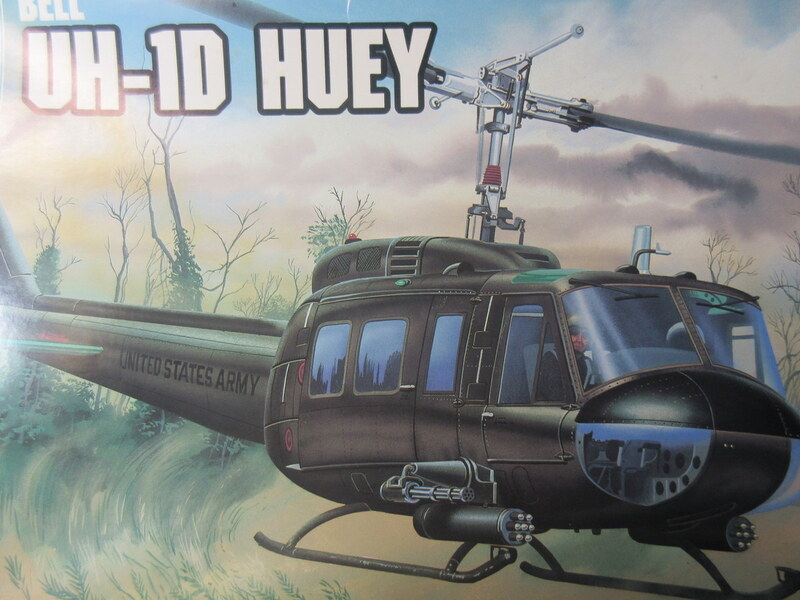 As discussed in my last post I started down that path with my current build, a UH-1D Huey by purchasing a UH-1B etch set. They are not compatible with the “D” model so off to real modeling we go. 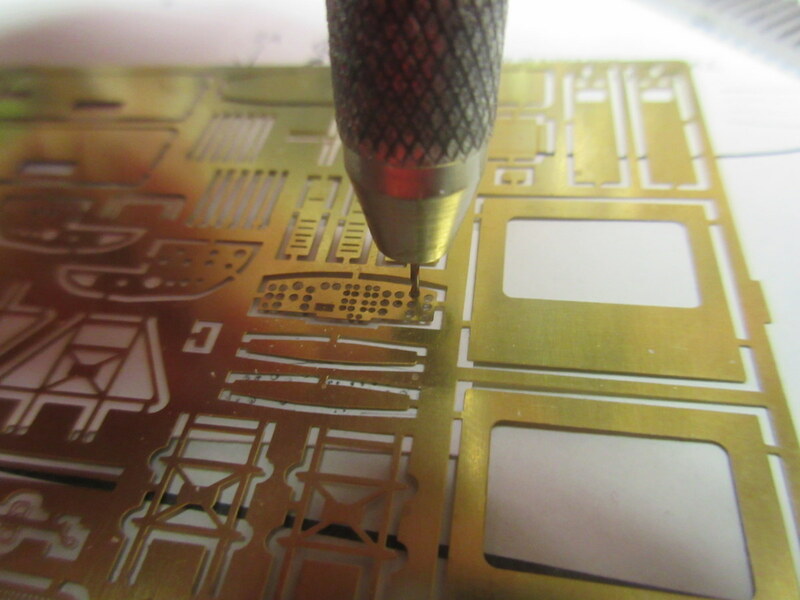 I used the “B” set etch instrument panel as a form from which to start making an interior. 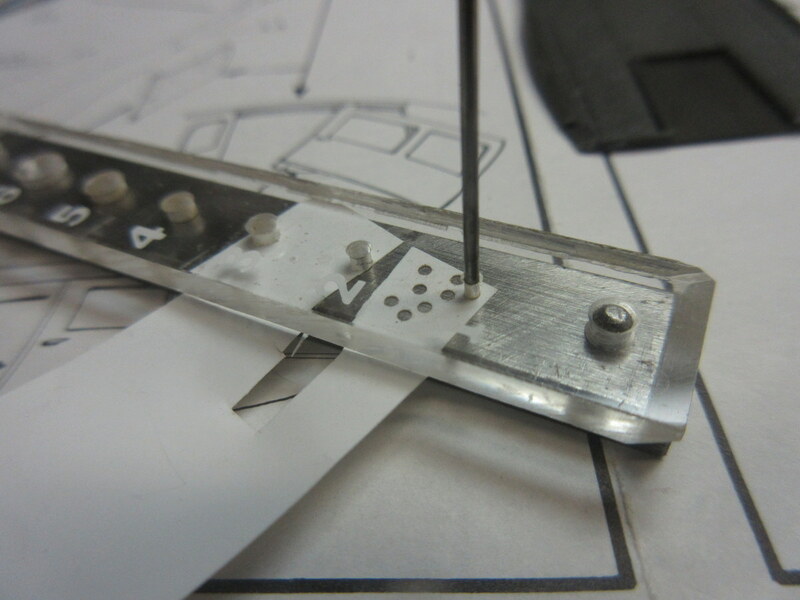 Armed with my micro drills and trusty Waldron punch set I am creating the instrument panel. I am also experimenting with adding small switches or handles. 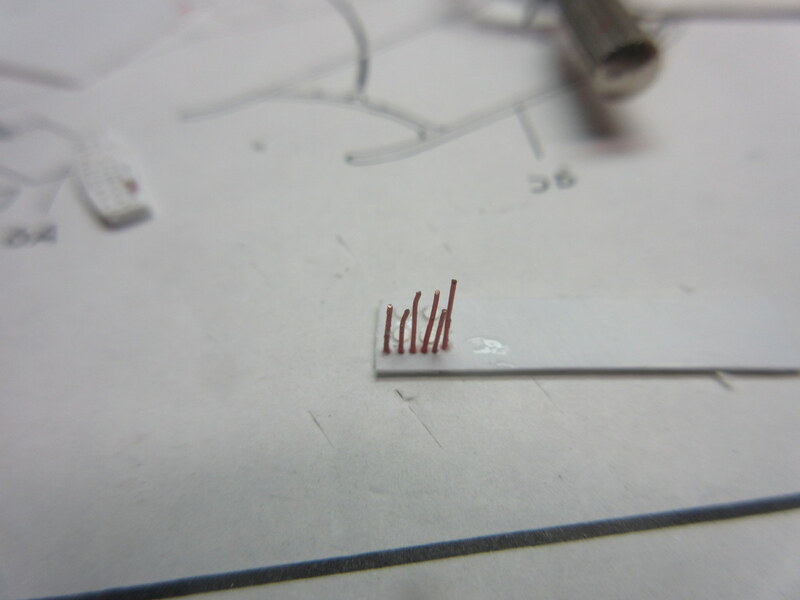 I poke a small hole in the plastic then add a small radius wire with super glue and clip off with sharp scissors when set. 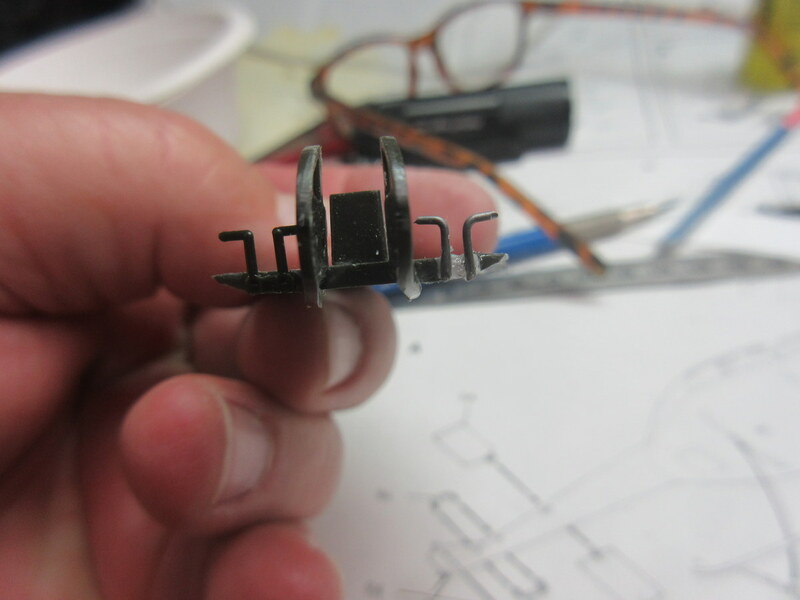 I also added a scratch a pair of rudder pedals when the kit’s set went flying from the tweezers and lost to the garage monster. I’m not sure I got that quote right from the movie Airplane. 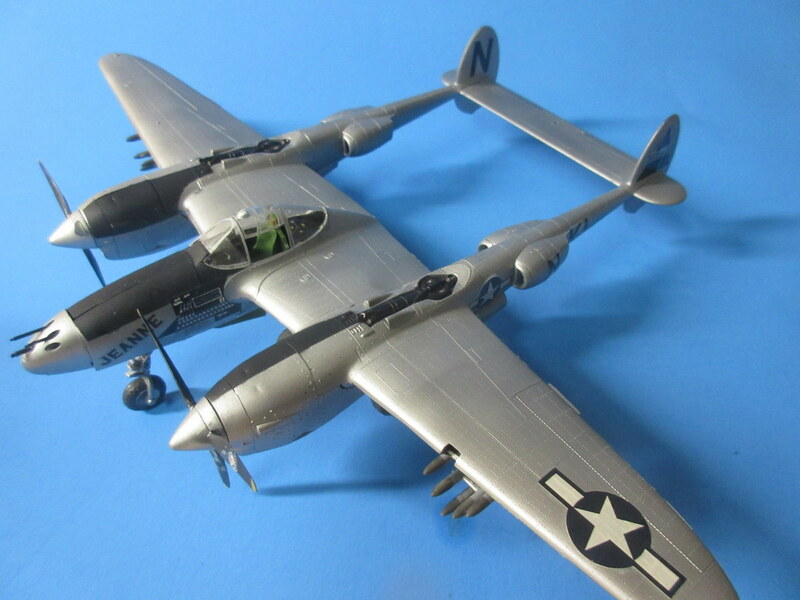 But ever since my son (who’s now 30) and I modeled together (and watched the movie about 10 times) the phrase has been used to imply we just slapped a model together without a thought to sanding, filling, filing, and all those other things that get in the way of just getting to a completed model. 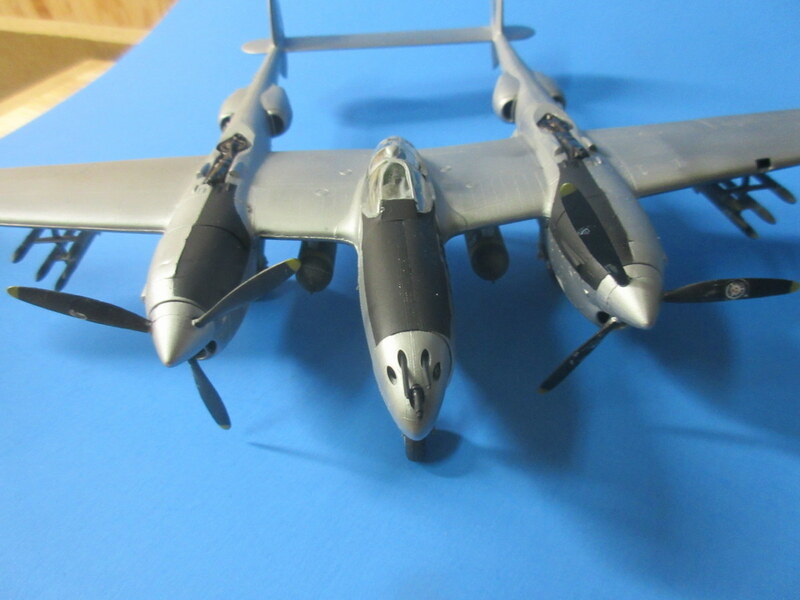 Dang, it was refreshing to just build this Monogram P-38. As I set up in a previous post I dusted off an old friend and put it her together like I would have done in my youth. 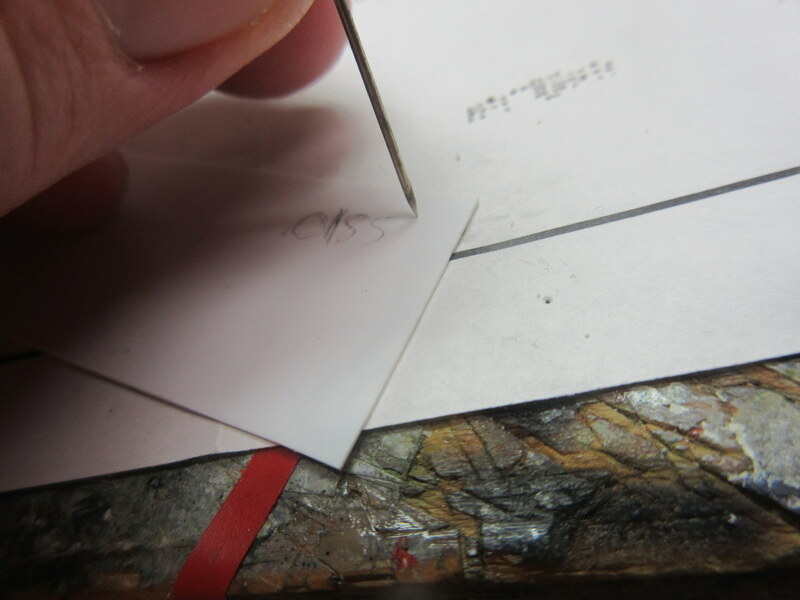 I sure am lucky that styrene has a long shelf life than me. The build went well. There are a number of parts that don’t quite fit together well but still the engineering given its timeframe was beautiful. 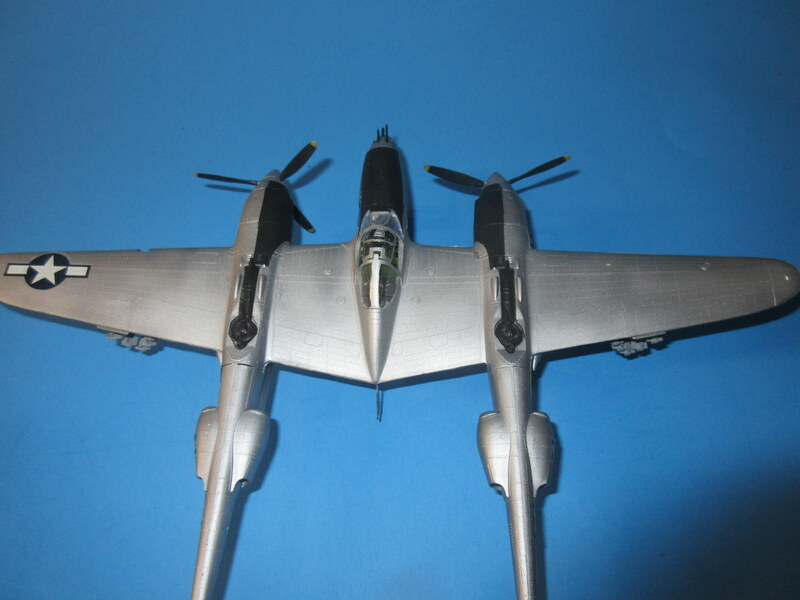 And it looks like a P-38. The kit needed a ton of weight in the front of the booms and under the gun bay in order to stay on all three. 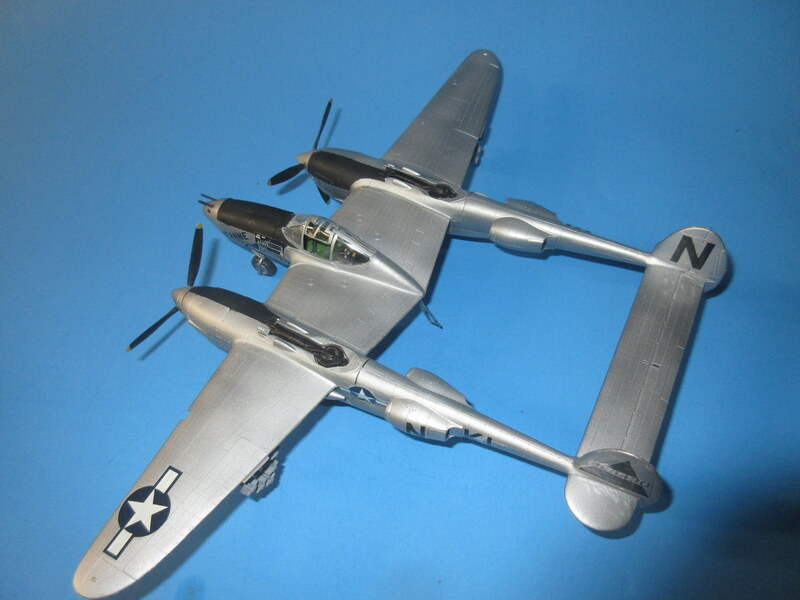 After years of using Alclad for my NMF paint jobs, I went with Model Master Aluminum and was very impressed with it’s cover and color. 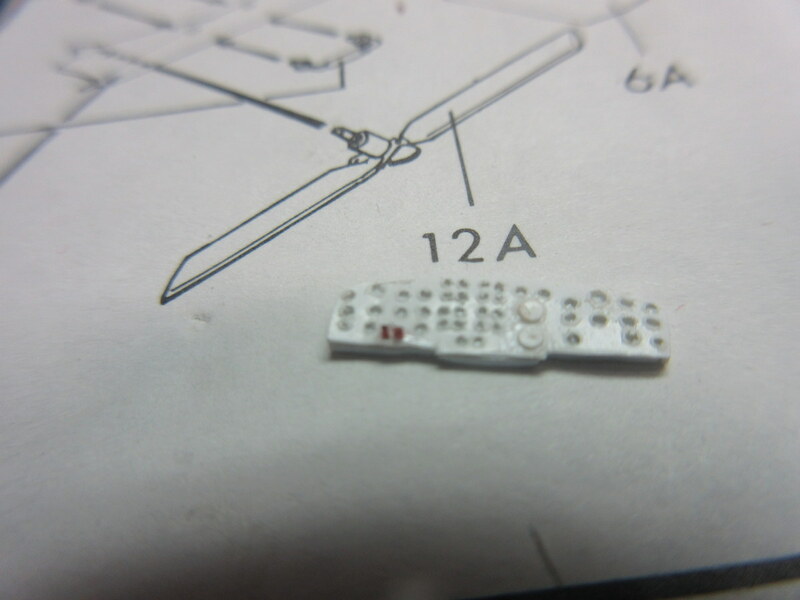 It went over all of those teeny tiny rivets wonderfully. 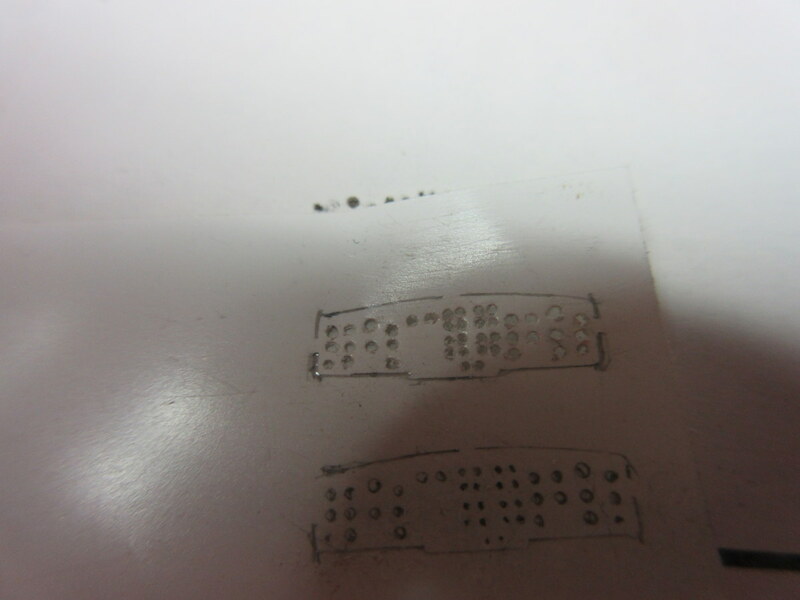 The decals while usable didn’t stick too well and didn’t respond well to decal setting solutions. The star and bar under the wing I tried first had color bleeding after I tried to get it to settle so I basically did what any 12-year-old model builder would do, slapped em on and didn’t worry about it. The kit is on the shelves and I’m happy with the time spent. 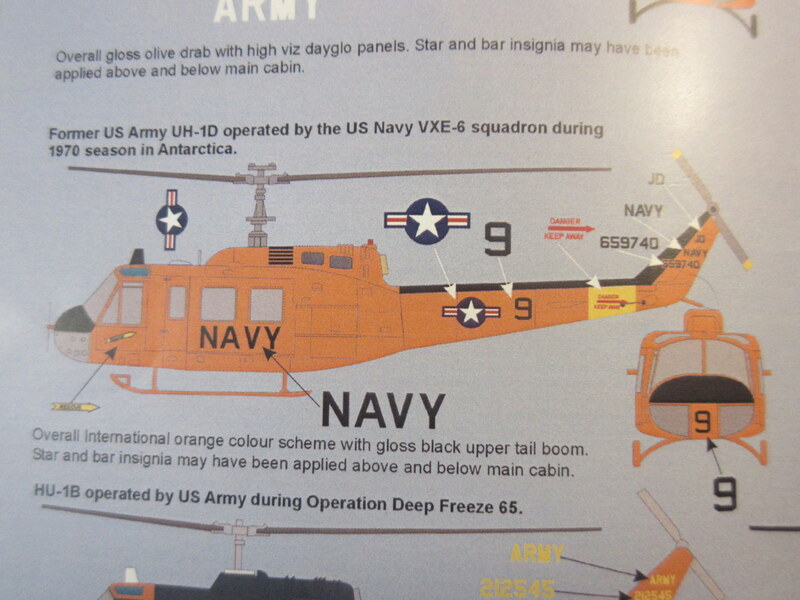 Next on the docket are a 1/72 H-19, H-34, and UH-1D, all in antarctic markings. Any advice on a good source of international orange would be helpful.